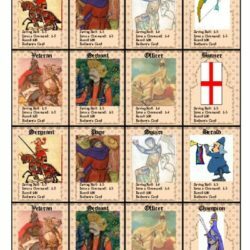 The game mechanisms in Day of Battle: the Middle Ages are designed to give a game that has the feeling of the period, not just the battle. 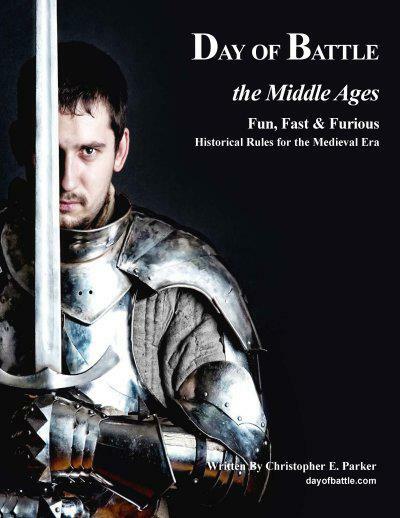 Like most published games of the past and present, Day of Battle: the Middle Ages can be played as standalone game where players setup a game, have a great time and then pack up and move on. To gamers just starting out in the hobby this is great, but it isn’t too long before they yearn for a campaign. 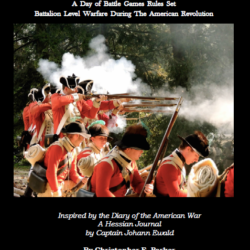 The game mechanisms in Day of Battle are designed to give a game that has the feeling of the period, not just the battle. 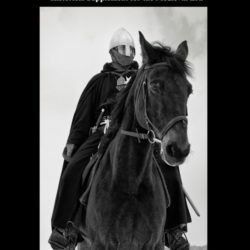 Like most published games of the past and present, Day of Battle: the Middle Ages can be played as standalone game where players setup a game, have a great time and then pack up and move on. To gamers just starting out in the hobby this is great, but it isn’t too long before they yearn for a campaign. In a campaign game you can truly prove who you are and how good you can be. Ah, but campaigns can be a black hole. Day of Battle attempts to satisfy the desire to play in a campaign but does it in an easy and enjoyable way. As mentioned earlier, you are a general referred to as a Warlord. Borrowing from our role-play cousins, your Warlord has a number of skills and attributes that make him who he is on the battlefield. During the actual battle you acquire honor points whenever you perform actions appropriate to your Warlord. At the end of the battle, win or lose, you total up your honor points and turn them into skill points. As these accumulate, you spend them on your Warlords skills and attributes to make him better and more powerful. Gain enough skill points and you have a chance to climb the social ladder and become a higher-ranking noble. Each battle you play with Day of Battle is based on the social rank of your Warlord. The higher the social rank, the bigger and better the army your Warlord summons. In a campaign, the better your army, the better your chances of winning. This campaign system is unique in that it doesn’t require a map, an umpire, or even other players. The fog of war in the game system is so good that you can play a game against yourself and not know which side will win, and if both survive then both will win. You would truly have to cheat to trick the game. Mind you, it is always more enjoyable playing with other gamers. I run a campaign with six different Warlords that I have created and play them randomly against each other. When first time gamer friends come over to play, I have them play one of my Warlords. Such games are fast. Games between new Warlords are over in an hour or so, which allows for multiple games in one sitting. The army creation mechanism is based on a loose interpretation of the history of times but designed to be fast, fun and unpredictable. 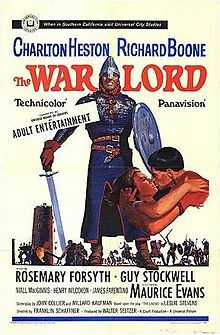 A Warlord and army can be created on paper with a deck of playing cards and a handful of six sided dice in 10 minutes. 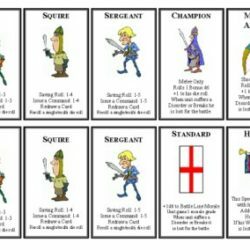 There is little math involved and unlike most point system games, you have very little control over your army. The size of your army is based on the social rank and household of your Warlord. The units that arrive at the “summons” are based loosely on the Domain (army) you are playing and of course a little bit of luck. You draw playing cards to determine how many army points you have which then determine the number of units that arrive and then roll dice to determine what troop type they are. You can promote the morale, armor and training of some of your units with the number of promotions available based on your social rank. With this unknown in mind, retainer units must be chosen wisely — and then go hire some mercenaries! Many wargames including previous versions of this one treated the individual unit as the focus for morale. Though an accepted system it is not necessarily the best system for the period and it tends to slow down the game. Battle Line Morale tracts the level of the entire Battle Lines morale. As this multi unit formation is stressed it will be forced to test its morale. Failure is usually incremental with units starting to falter, edging to the rear. As the game goes on and the units in the Battle Line start to get battered small cracks will appear as the units start retire until eventually units just break and run, thus eventually ending the game. In summary for a new look wargaming the medieval era try Day of Battle. It will give you an experience you have never had before.